Thirty Years of West Bengal Left Front Govt. The Left Front Government in West Bengal completes thirty years in office on 21st June 2007. The uninterrupted existence of a Left Front government in a State for thirty years is a remarkable achievement. This would not have been possible without the massive and unwavering support of the working people of West Bengal for the programme and policies of the Left Front Government. In the course of this long tenure, the Left Front government has set a shining example of pro-people governance by implementing land reforms and establishing a decentralised model of local self-government through a three-tier Panchayati Raj, which has empowered millions of rural poor and irreversibly changed their lives for the better. Its record in defending secularism, securing democratic rights and upholding probity in public life is also unparalleled. The Left Front Government in West Bengal continues to be an inspiration and source of strength for progressive and democratic forces across the country. 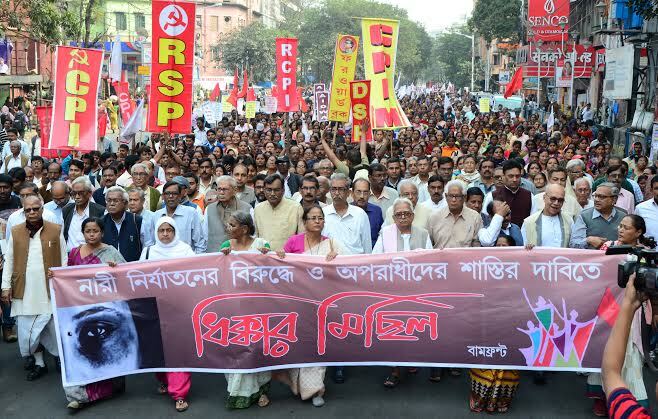 The formation of the Left Front Government in West Bengal was a culmination of decades of struggles by various sections of the people — workers, peasants, teachers, refugees and students — under the leadership of the Left, and its biggest component the CPI (M). 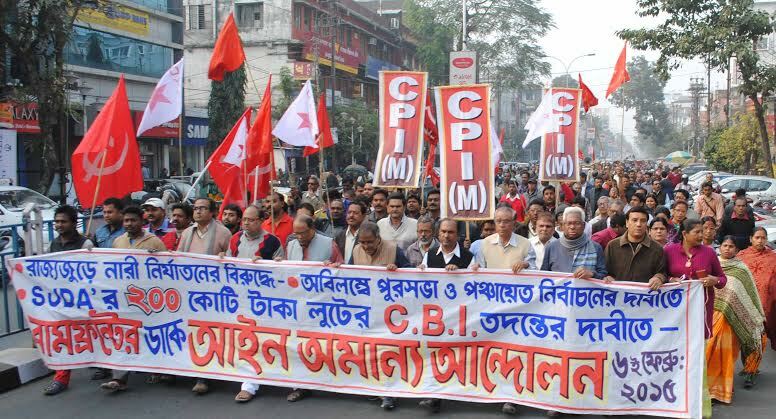 Faced with the rising tide of struggles and the growing influence of the CPI(M) and the Left, the Congress regime which was formed after it undemocratically rigged the elections in 1972 resorted to a reign of semi-fascist terror in West Bengal. 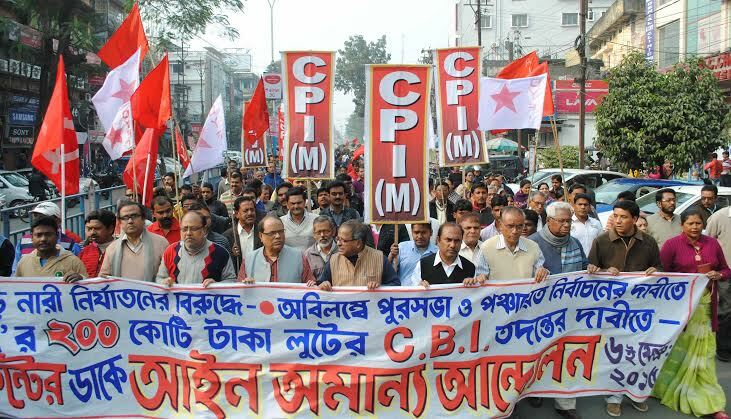 The CPI(M) and the mass organisations faced the brunt of this repression. 1,100 Party workers and close sympathisers were killed. The Congress was severely punished by the people of the country for its authoritarian and anti-democratic actions in the general elections of 1977 and the Janata Party Government was formed at the Centre with Morarji Desai as Prime Minister. The Assembly elections in West Bengal were held shortly after the general elections in 1977. The people came out to vote in very large numbers to get rid of the reign of terror. The Left Front won by over three-fourth majority. While assuming office in 1977, the Left Front government was aware of the limitations of a State government in implementing pro-people policies within the existing Constitutional set-up. While the major responsibility of delivering services to the people was with the State Governments, financial resources were concentrated in the hands of the Centre. Keeping in mind this constraint, the Left Front government embarked upon a programme to provide immediate relief to the people and implementing alternative policies in spheres where the State government had some say. The major initiatives of the first Left Front government were to carry out thoroughgoing land reforms and establishing a vibrant Panchayati Raj. These historic initiatives broke the back of landlordism in the rural areas, empowered the poor peasantry and agricultural workers immensely and decisively changed the correlation of class forces in favour of the rural poor. Large sections of the rural poor, especially the dalits, adivasis and minorities, gravitated towards the Left and the CPI (M). This section continues to be the most stable mass base of the CPI (M) and the Left Front till date. Several other pro-people initiatives were also undertaken regarding workers’ rights and social sector development, which benefited different sections of the people: factory workers, unorganised workers, government employees, school and college teachers, students, youth, women and the refugees. 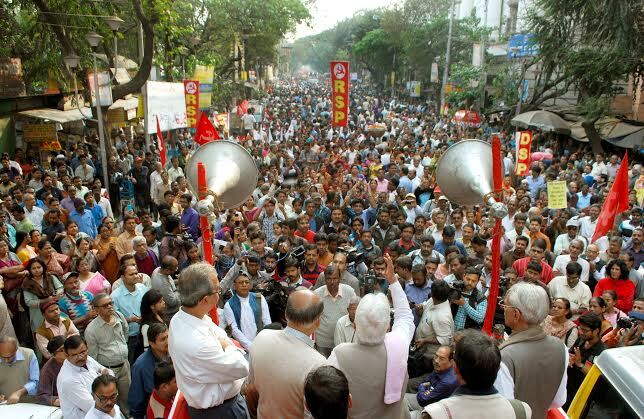 Through their experience, the majority of the people of West Bengal came to recognise the Left Front government as a pro-people government, a custodian of their rights and a fighter for their cause. Therefore, since 1977, neither did the people ever look back nor did the Left Front government. The land reforms initiated in West Bengal had three major components: (i) effective imposition of land ceiling and vesting of ceiling surplus land (ii) redistribution of vested land among the landless cultivators and (iii) securing of tenancy rights of sharecroppers (bargadars) through a system of universal registration of tenant cultivators (Operation Barga). As a result of this thoroughgoing land reform programme, West Bengal today has the most egalitarian land ownership pattern in the entire country. While West Bengal accounts for only around 3% of agricultural land in India, it accounted for over 21% of ceiling surplus land that has been redistributed in India till date. The total number of beneficiaries of land redistribution in West Bengal is over 28 lakhs, which is almost 50% of all beneficiaries of land redistribution in post-independence India. The security of tenancy rights provided to the sharecroppers under Operation Barga was also unprecedented in India. The total number of recorded sharecroppers had reached over 15 lakhs, which accounted for over 20% of the total agricultural households in the State. Over 11 lakh acres of land was permanently brought under the control of sharecroppers and their right to cultivate land was firmly established. After 30 years of Left Front rule, 84% of land in West Bengal is owned by small (2.5 acres to 5 acres) and marginal farmers (less than 2.5 acres) today, while the all-India figure is only 43%. Over 12 lakh acres of ceiling surplus vested land is lying with various State governments today but not being distributed among the landless. This shows the difference in the political will of the Left Front government in West Bengal and other State governments run by bourgeois parties. Moreover, around 56% of the total beneficiaries of land redistribution in West Bengal were dalits and adivasis. Dalits and adivasis also comprised over 41% of the registered sharecroppers. Till date, over 5.35 lakh women have been given joint pattas and 1.57 lakh women given individual pattas (ownership rights over land). Muslims have also benefited significantly from the land reforms programme. Proportion of land owned by Muslims in West Bengal is the highest among all Indian States which have a significant share (over 10%) of Muslim households in total rural households. Following the onset of the neoliberal policies in the decade of 1990s, whatever land reform measures were undertaken in most Indian States in the post-independence period were sought to be reversed. However, in West Bengal an additional 95,000 acres of land was acquired in the 1990s under the land reform legislation and 94,000 acres redistributed. These figures for the decade of the 1990s account for almost all the land acquired and over 40 per cent of the land redistributed in the entire country. The Left Front government has continued with the land redistribution programme. 30,000 acres of land was distributed among landless families in 2006-07. Reorganisation of the system of local government was one of the most important of the institutional changes brought about by the Left Front government. In the process, West Bengal has created a history of participation of the common people through the process of decentralisation, which is unique in India. A system of democratic elections to local bodies at anchal, block and district level was instituted: gram panchayats at the anchal level, panchayat samitis at the block level and zilla parishads at the district level. Elections to these local bodies were held in June 1978. The newly elected panchayats were involved with the execution of land reforms. Panchayats took the initiative in exposing benami land holdings, ensured the identification of excess land and the declaration of vested land and were also given charge of ensuring the legal rights of recipients of vested land and bargadars over land. The panchayats were also involved in arrangements for the provision of institutional credit for the beneficiaries of vested land and for bargadars. After the rural development projects were devolved to panchayats for implementation, the beneficiaries of land reform were given priority in the receipt of benefits from these projects. This was possible because through the panchayat election of 1978, a new leadership was established at the helm of the rural bodies from less privileged socio-economic backgrounds. The erstwhile village elite, including landlords and moneylenders, lost their dominance over the newly elected local bodies. The new leadership after 1978 came out of the tradition of peasant upsurge and struggle for land reform of the past three decades. West Bengal is the only State in India to have had regular elections to local bodies every five years for the past 30 years. The aim has been to provide a substantial share of fiscal resources of the state to the local bodies. West Bengal was the first state in the country to make a serious effort at devolving funds from the state government level to the lower tiers of administration. The panchayats have also been assigned a large and substantial range of responsibilities that were earlier seen as under the purview of the district-level bureaucracy. The panchayats perform civic duties and undertake developmental activities like construction and maintenance of hospitals, schools and libraries, promotion of agriculture, cooperatives and cottage industries, child welfare activities, etc. They play an important role in the local-level planning and implementation of government schemes. Panchayats in West Bengal have played an important role in activities like mobilising cooperation for improving agricultural production, management of local resources, and identification of beneficiaries for housing, poverty alleviation and social security programmes. This has made the panchayats a critical institution of local governance in the West Bengal countryside. Over time, there has been substantial representation of the rural poor and of socially deprived groups like dalits and adivasis, as well as women, in the elected bodies. All this has helped to change the power equations in rural society as well as encouraged the social and political empowerment of social groups that were earlier marginalised. The proportions of dalit and adivasi panchayat representatives in all the three tiers were over 37% and 7% respectively, well over their share in population. Since 1995, one third of the seats and positions of chairpersons in the panchayati raj institutions have been reserved for women. It is, however, noteworthy that the actual representation of women exceeds one third as a number of women candidates also win in the general constituencies. Over 35% of the gram panchayat members are women. Also, 7 out of 17 zilla parishads have a woman sabhadhipati and 155 out of 351 panchayat samities have a woman sabhapati. In the late 1990s, the Panchayat Raj system in West Bengal was further strengthened by introducing gram sansads. These are the general councils of voters in every ward, that are required to meet twice a year with a minimum quorum of 10 per cent of voters to discuss the work done by the panchayats and utilisation of funds. 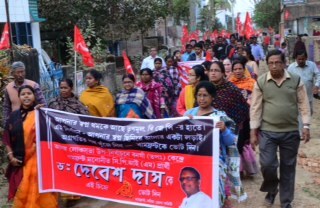 This “walking on two legs” strategy of the Left Front government; implementing land reforms and the establishment of an effective panchayati raj in West Bengal; has not only led to the political empowerment of the rural poor but has also brought about a rejuvenation of agriculture in the State. Since the Left Front came into office in 1977, foodgrains production in West Bengal has grown at the rate of 6 per cent per annum, which is the highest among seventeen most populous States of India. From a food deficit State witnessing famines and food riots during the Congress rule, West Bengal has emerged as a leading food producer in the country under the Left Front rule. West Bengal has emerged as the topmost producer of rice, vegetables and fish among all Indian States. Cropping intensity in West Bengal has increased from about 136 per cent in 1980-81 to about 180 per cent in 2000-01, second highest in the country. This has been achieved through significant expansion of irrigated land area through small and minor irrigation projects. In the backdrop of the neoliberal policies being adopted by the Centre since early 1990s, agricultural growth has slowed down across the country. While agriculture grew at less than 2% in India during the Tenth Plan period (2002-2007), the growth rate of agriculture in West Bengal has been over 3.5%. The Left Front Government has not only been successful in insulating the agrarian economy of West Bengal from the acute agrarian distress currently being witnessed across the country, agricultural production continues to rise in West Bengal even today. For most parts of its lengthy tenure, the Left Front government has had to encounter hostile governments at the Centre. There was a conscious effort on the part of successive Central governments, particularly those run by the Congress, to discourage industrialization in West Bengal since it was a Left ruled State. This was done both through a denial of public sector investment as well as licenses for setting up private industries. During Indira Gandhi’s tenure as the Prime minister in the early 1980s, a proposal for setting up an electronics complex in Salt Lake near Kolkata was shot down by the Central government on security grounds, because West Bengal was a border State! Permission for the Haldia Petrochemical project was withheld by the Central government for 11 long years. Moreover, the freight equalization policy for coal and iron ore robbed West Bengal, along with the other states in the Eastern region of India, of its locational advantage of being the most mineral rich region of the country. 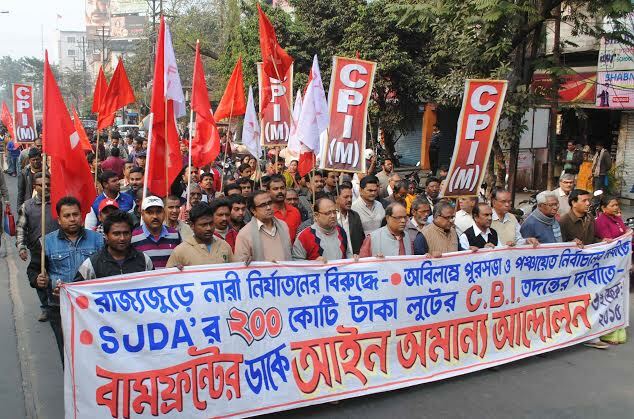 Following these discriminatory policies pursued by the Centre and the vitriolic anti-Communist propaganda carried out by the bourgeois media, which led to some degree of capital flight, West Bengal experienced industrial stagnation during the decade of the 1980s. Traditional industries like tea, jute and engineering were on a decline. This aggravated the unemployment situation in the State, especially in the urban areas, besides causing hardships for the workers in the sick industries. The need was felt to make special efforts to reverse the trend towards industrial stagnation and re-industrialize West Bengal. Meanwhile, a big policy shift had come at the national level when the Narasimha Rao led Congress Government adopted the “New Economic Policies” in 1991 following the dictates of the IMF and the World Bank. The neoliberal “economic reforms” initiated by the Central government abandoned the earlier emphasis on public sector investment, devised a strategy of liberalizing and deregulating the economy and laid emphasis on private capital, both domestic and foreign, as the main driver of economic growth. On the one hand these policy changes were clearly in the rightwing direction, which was opposed by the CPI (M) and the Left. On the other hand, it also meant an end to the discriminatory policy regime of the Central government, based upon licensing and freight equalization policy, which had caused enormous harm to the economic interests of West Bengal. It was in this backdrop that the he Left Front government had to devise its industrialization strategy. In September 1994, Comrade Jyoti Basu announced the Industrial Policy of the Left Front government in the changed scenario, which stated: “we are all for new technology and investment in selective spheres where they help our economy and which are of mutual interest. The goal of self-reliance, however, is as needed today as earlier. We have the state sector, the private sector and also the joint sector. All these have a role to play”. Following the adoption of the Industrial Policy, the industrial scenario in the state witnessed a turnaround, with important projects like Haldia Petrochemicals and Bakreshwar Thermal Power plants finally being set up. This process of industrialization received further impetus after the Left Front government registered its sixth consecutive victory with Comrade Buddhadeb Bhattacharya as Chief Minister in 2001 and subsequently its seventh victory in 2006, with an enhanced majority. During the period from 1991 to 2006 a total number of 1,391 industrial units have been set up in West Bengal with a realized investment of Rs. 32,338.95 crore and creating direct organized employment for 2.03 lakh persons. The number of new industrial proposals in West Bengal is increasing progressively, especially in sectors like Iron and Steel, Chemical and Petrochemicals, Food Processing and Information Technology. Since the thrust of the West Bengal government’s industrial strategy is on employment generation, the focus is not limited to big industries alone. The state government has consciously provided policy support to small and medium enterprises, because of which the number of working small scale industries in West Bengal has increased from 19.1 lakhs in 1994-95 to 27.7 lakhs in 2000-01, with employment in small scale industries during this period increasing from 43.8 lakhs to 58.7 lakh. West Bengal now ranks first among all States in respect to both the number of working units and employment generation in the small-scale industrial sector. Unlike other State governments, which succumbed to the neoliberal prescriptions of the Centre, the Left Front government has followed an independent approach towards industrialization. Rather than following the policy of indiscriminate privatization of public sector units, the Left Front government has sought to strengthen them and earnestly tried to revive sick or closed industrial units. By repeatedly placing its views before the BIFR in the interest of industry and workers, the Left Front government has been able to obtain the sanction of revival scheme in respect of 79 units. Of these, 22 units have already been revived and about 25 more units are likely to be revived. SAIL has recently decided to invest Rs. 10,000 crore in the modernisation of the IISCO factory at Burnpur, which will be one of the biggest public sector investment projects currently being undertaken in the country. The Central government had earlier decided to privatize this sick unit. 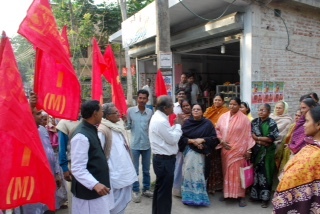 It was the protracted struggle waged by the IISCO workers and the principled position adopted by the West Bengal Government, which prevented privatization and has subsequently led to the revival of IISCO. Similarly, Bengal Chemicals, which had become a sick PSU, is being revived with Central investments worth Rs 440 crore. Recently, two public sector units, Coal India Limited and Damodar Valley Corporation have come together to acquire and revive the Mining and Allied Machineries Corporation (MAMC) based in Durgapur, a prestigious PSU that was closed few years ago. Closed units like Jessop and Dunlop have also been reopened. Some controversy has arisen recently over acquisition of agricultural land for setting up industries in West Bengal, especially in the context of the Tata Motors plant in Singur and a proposed chemical hub near Haldia. While the opportunistic gang-up of the entire opposition, from the ultra-Right to the ultra-Left led by the reactionary Trinamul Congress, has sought to pitch the debate in terms of industry versus agriculture, the Left Front government has repeatedly emphasized the need for a balanced and harmonious development of both sectors. 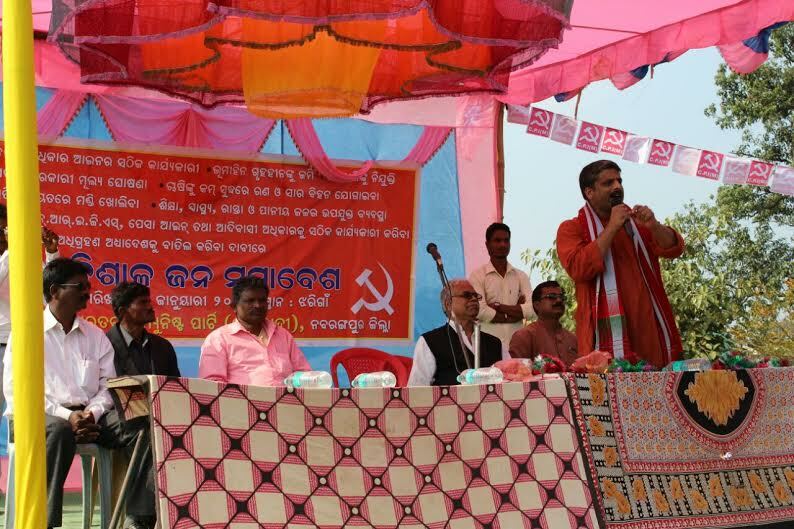 The slogan of “agriculture is our foundation, industry our future”, put forward by the Left Front before the Assembly elections of 2006 received wide acceptance among the people. The Left Front government in West Bengal has undertaken several pro-people initiatives to ensure all-round development of the State. The Left Front government has ensured significant expansion in the spheres of public education and health. The number of schools in West Bengal has seen a substantial increase in the post-1977 period, with the number of secondary and higher secondary schools registering a four fold increase, from 4600 in 1977 to over 22,500 in 2006. Accordingly, the number of students appearing for the secondary board examination has increased from a little over 2 lakhs in 1977 to over 7.5 lakhs in 2006. Around 80% of the indoor patients in West Bengal today are treated in Government hospitals. These reflect the commitment of the Left Front government towards human development. The Left Front government has also taken some important steps to provide social security to workers like introducing a provident fund scheme for unorganised sector workers for the first time in the country (nearly 7.9 lakh workers have already joined the scheme so far), providing financial assistance of Rs. 750 per month to workers of closed factories and tea gardens and providing social security to the construction workers. Another important development in the recent years from the point of view of self-employment in West Bengal is the phenomenal growth of Self-Help Groups (SHGs). The total number of SHGs in West Bengal reached 3.8 lakhs in 2005-06, involving nearly 38 lakh persons, 90% of whom are women. This has opened up new possibilities for employment generation and women’s empowerment. When the seventh Left Front government assumed office in 2006, a dedicated Ministry to provide policy support to these SHGs was created. The Left Front government has also taken positive initiatives to uplift the Muslim minorities, who comprise over 26% of the State’s population. The West Bengal Minority Development Finance Corporation, which was formed in 1996, provides training as well as soft loans for self-employment and scholarships for meritorious students among Muslims. The reforms brought about in Madarsa education in West Bengal are also noteworthy, especially the modernisation of curriculum including introduction of vocational courses and computer training and bringing the recruitment of teachers in madrasas under the purview of the School Service Commission. It is significant that 65% of students studying in the madarsas of West Bengal are girl students and 12% of students are non-Muslims. There is no doubt that much more needs to be done as far as people’s welfare is concerned, especially for the socio-economically disadvantaged groups, as has been noted by the West Bengal Human Development Report 2004 or the Sachar Committee Report 2006. The Left Front government has been proactive in taking initiatives to do away with the shortcomings that continue to exist in its developmental effort. For instance, the Left Front government was the first State government to announce a sub-plan for minorities at the state level to implement the recommendations of the Sachar Committee. Several new initiatives have also been taken to improve the quality of public service in school education and public health in order to improve the human development scenario. However, the capacity of the Left Front government to deliver in the spheres of peoples’ welfare and social infrastructure have been severely constrained by the limited availability of resources. Unless the resource constraint is overcome, major welfare initiatives cannot be undertaken. While a part of the additional resources can be generated through internal resource mobilization, much depends upon the direction of economic and social policies of the Central government too. The power to take crucial economic policy decisions in India rests with the Central government and not the State governments. A big achievement of the Left Front government in West Bengal is its record in safeguarding democratic rights. Notwithstanding the vicious campaigns unleashed against it from time to time by its opponents, the Left Front government continues to remain firmly committed to democratic values and principles. Its impeccable record in upholding secularism, dealing with communal elements with a firm hand and defending the rights of minorities is a welcome exception to the programmatic or pragmatic communalism practiced by the bourgeois parties and the state governments led by them. While dalits and adivasis across the country continue to be victims of caste violence, it is indeed heartening to find that West Bengal has an almost zero rate of atrocities against dalits and adivasis. 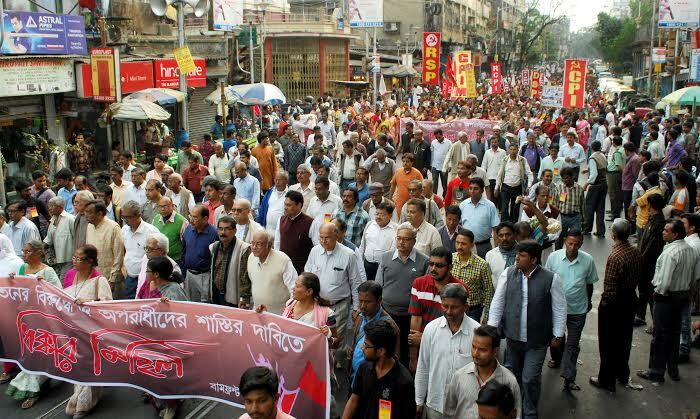 Born out of the struggles against authoritarianism and State repression, it is the commitment of the Left Front government to democracy, which has won it enormous credibility in the eyes of the people of West Bengal and enabled it to complete thirty years in office.